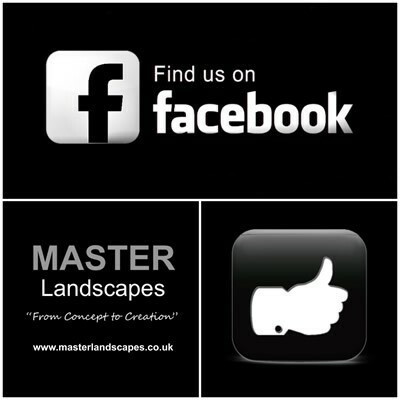 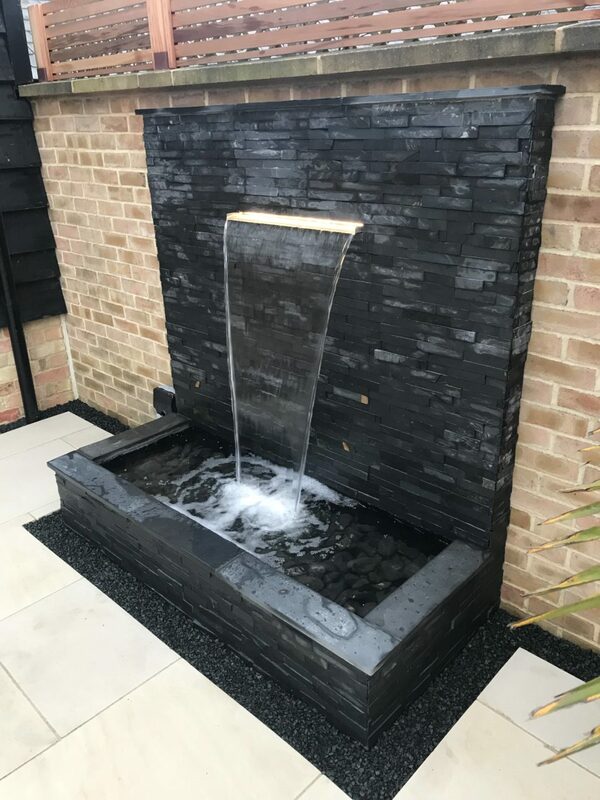 A total garden renovation with bespoke water feature. 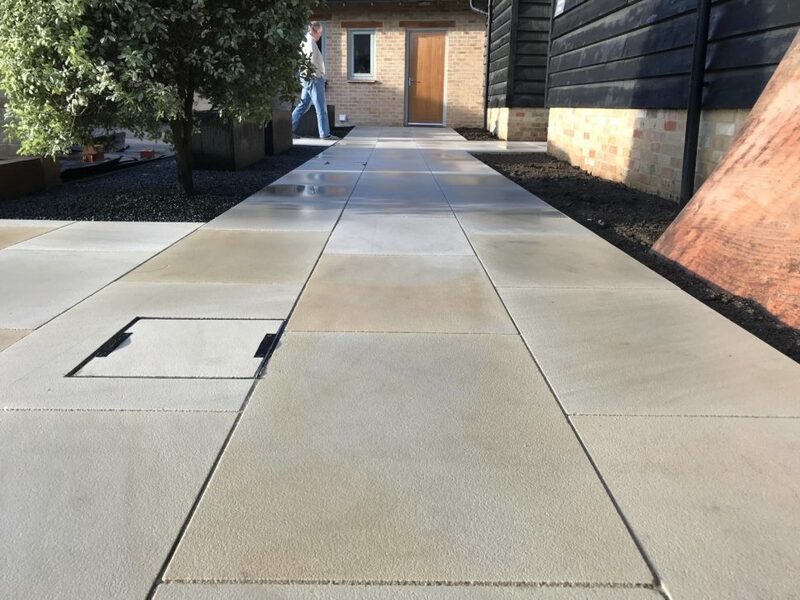 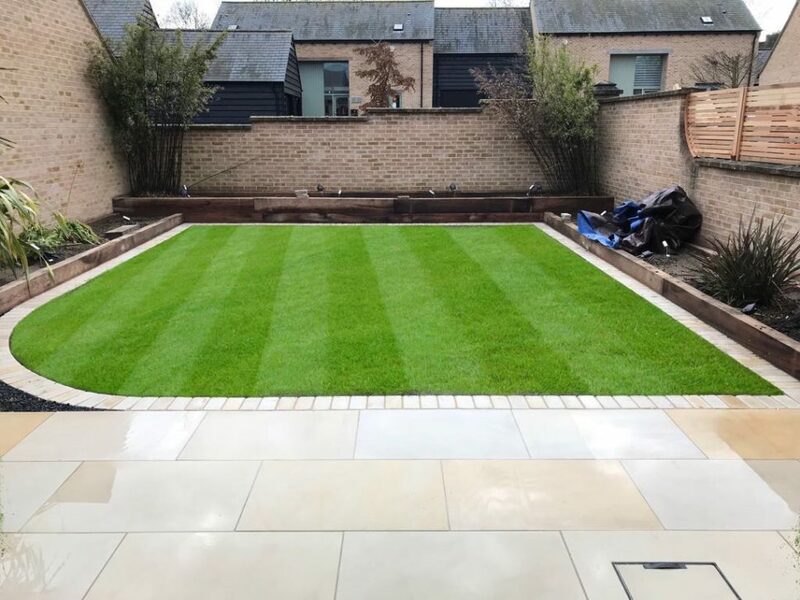 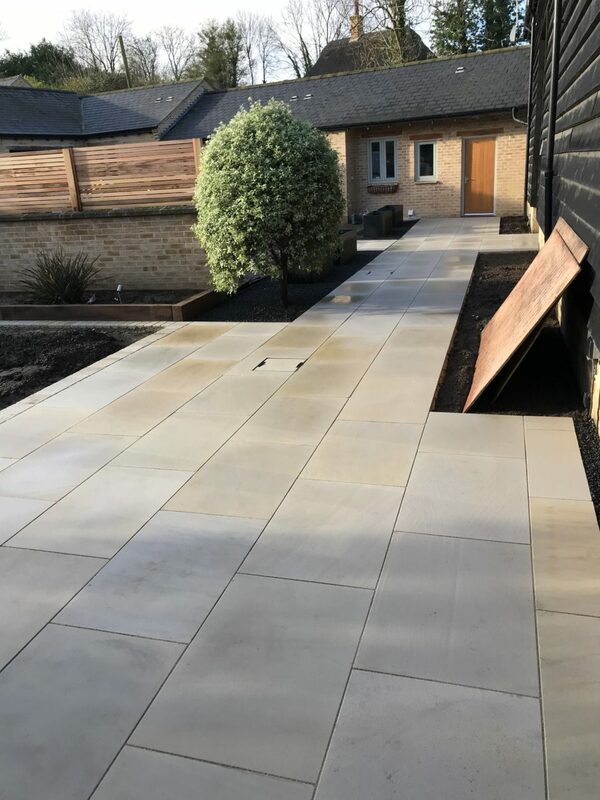 The paving and the setts used to edge the lawn is Bianco Cream Indian sandstone. 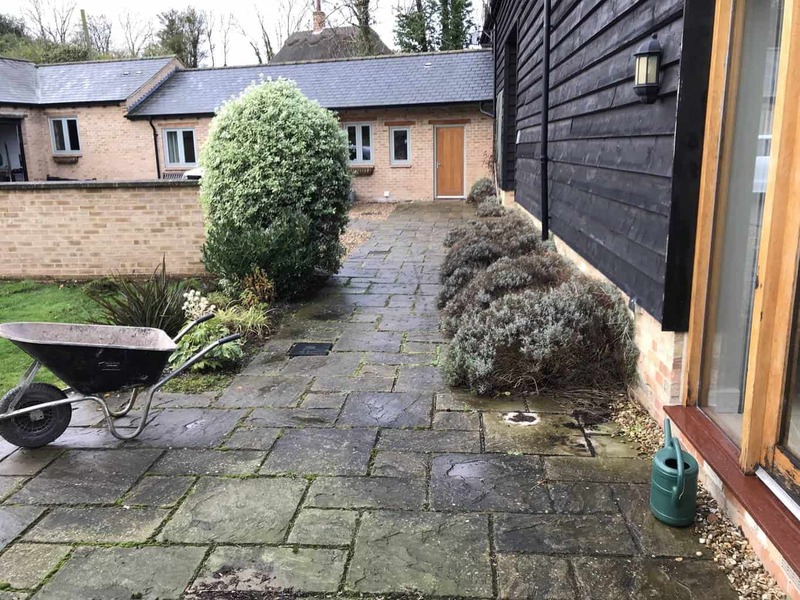 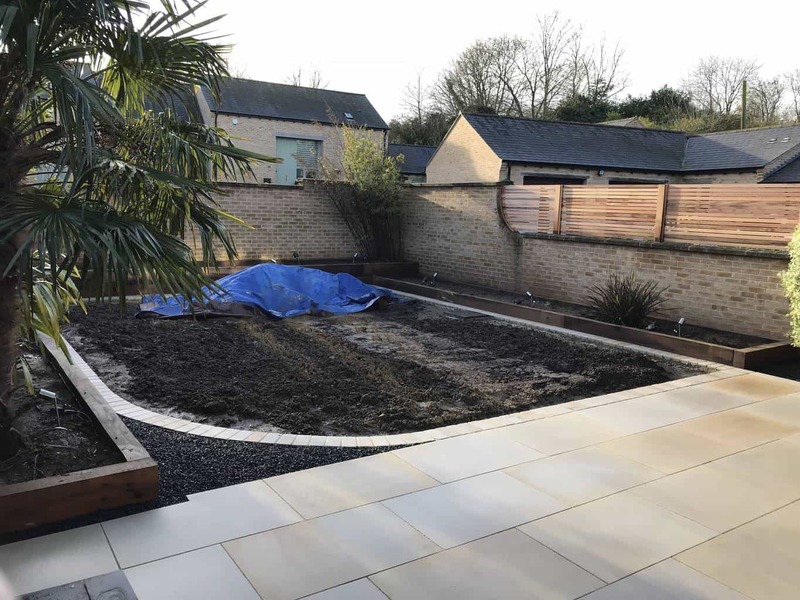 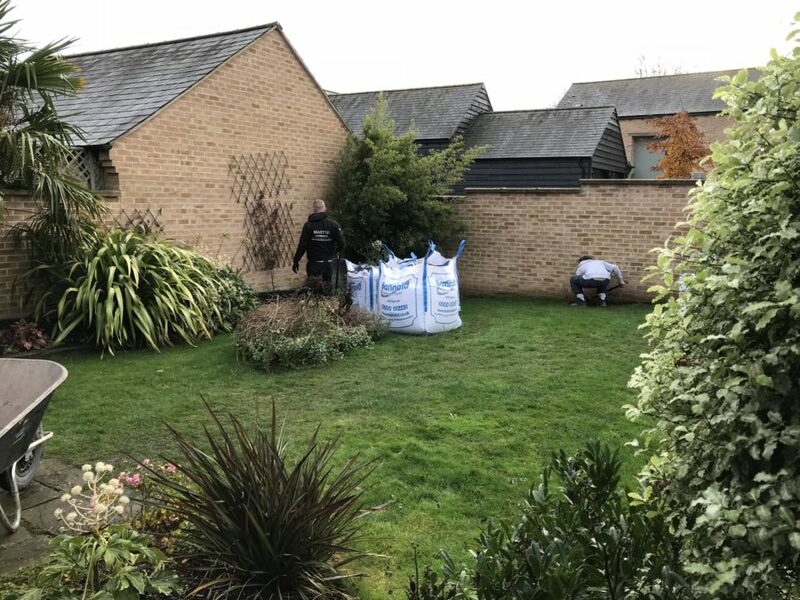 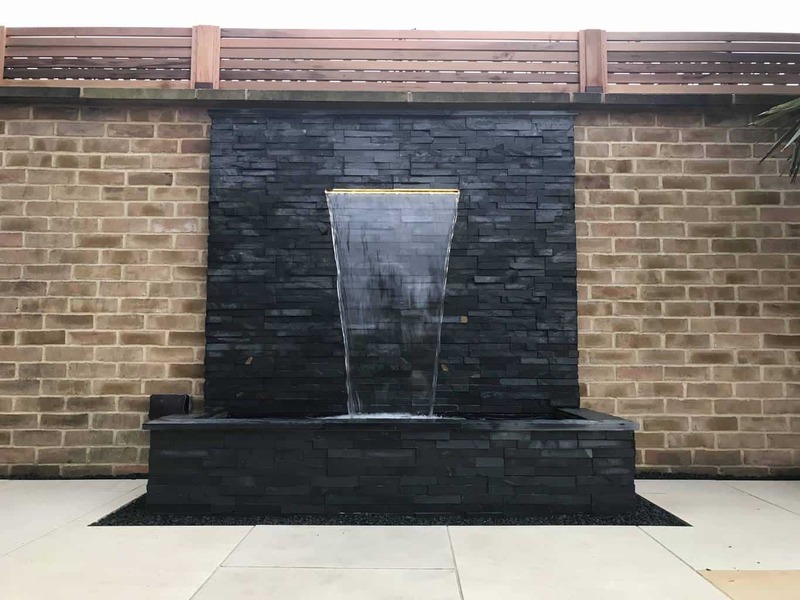 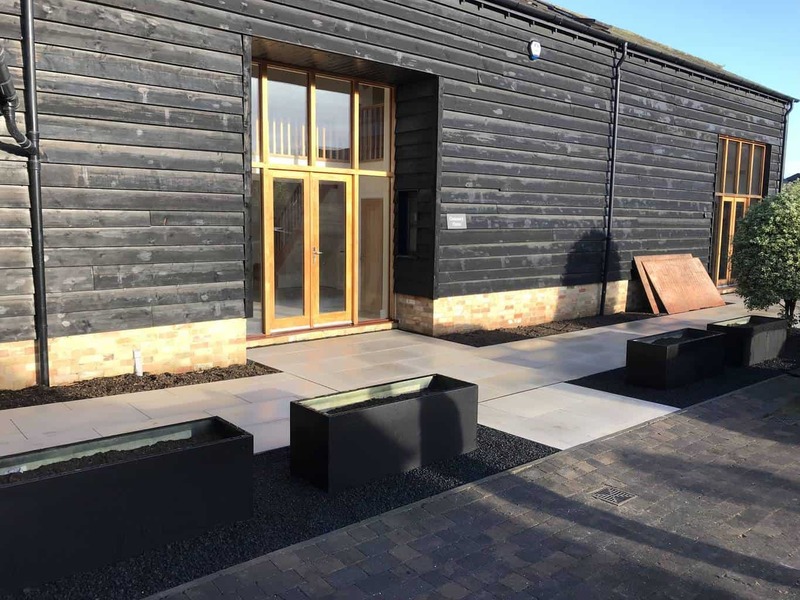 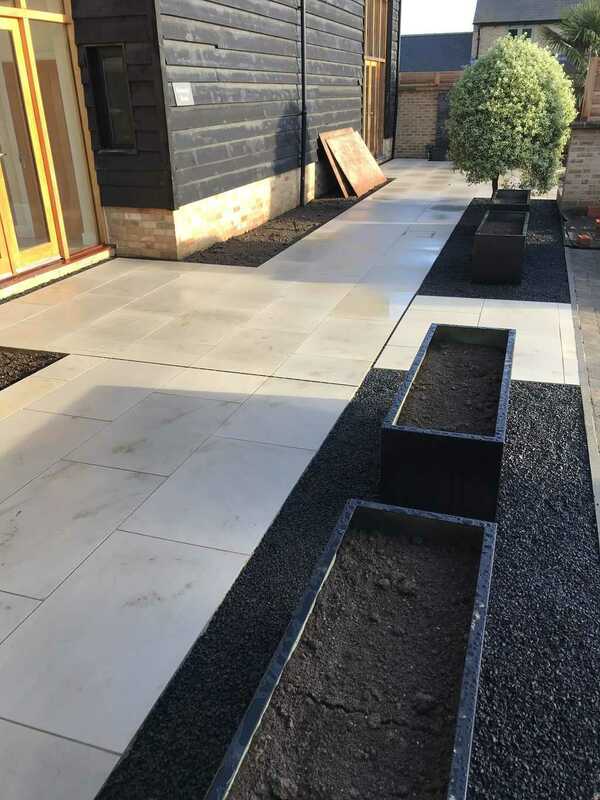 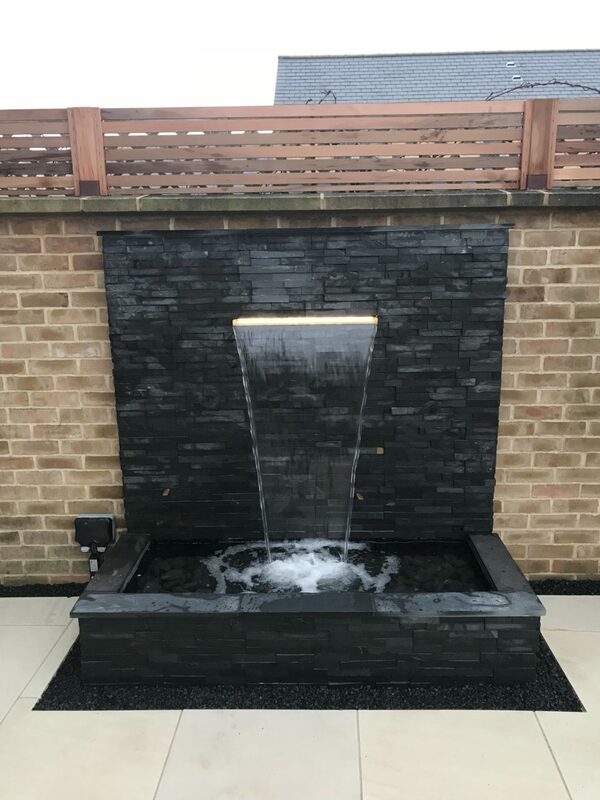 We went with a dark gravel Black limestone chippings in the drainage gully’s and planting areas, and black slate split-face tiles for the water feature as this is a nice contrast to the stone. 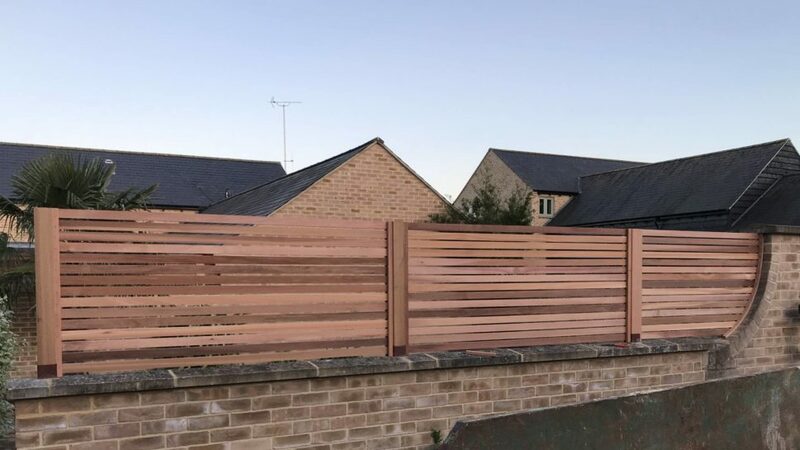 Western Red Cedar was used to construct the bespoke fencing.